Sheer, shimmery organza pouch in a lovely deep moss green color. These pouches are slightly larger than our standard satin pouches, measuring 4x6 inches instead of 3x4 inches. Sometimes those gorgeous long umbilical cords dry just a bit too large for our regular satin pouches, so keep a set of these larger ones on hand. Limited quantity available - only 5 sets in stock! 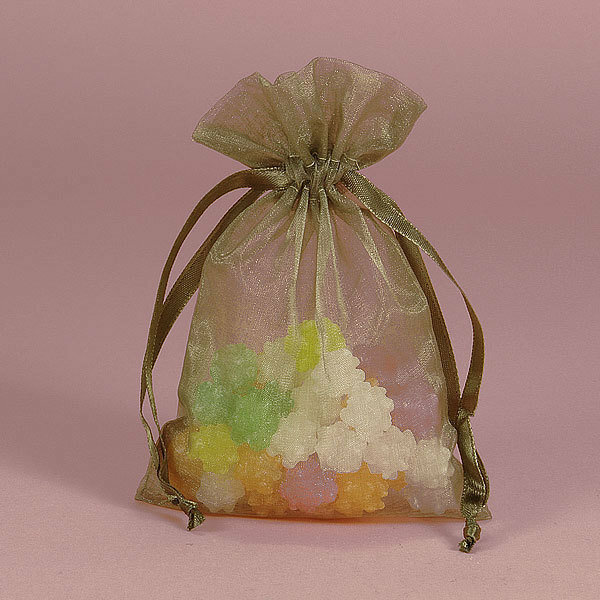 Full size: 4x6 inches, flat organza pouch.